With these cautions in mind, we've surveyed the stock markets to come up with 13 companies you might want to avoid adding to your portfolio in the new year. Across the country and around the world, government budgets are strained, and taxpayers are less willing to subsidize solar power -- especially in the presence of cheap and abundant natural gas. 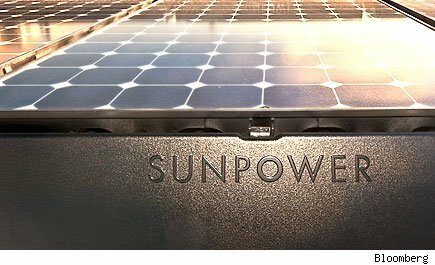 That's bad news for companies tied to the solar power movement, and for six publicly traded companies in particular. All six are currently unprofitable and "earning" double-digit negative returns on the capital they invest back into their businesses. All carry more debt than cash on their balance sheet, and several are in debt up to their eyeballs. All six are adding to their debt burden by burning through what little cash they do have, and producing negative free cash flow over the past 12 months. Not one of them looks like a safe place to invest your money in 2013 ... or perhaps ever. 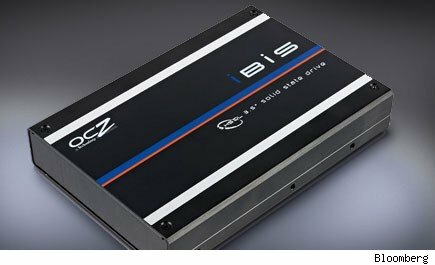 As prices for semiconductor-based solid-state flash memory decline, and the technology gains popularity over more traditional hard-disk-drive-based memory, many investors see a lot of promise in the stocks of two tiny SSD manufacturers, STEC (STEC) and OCZ Technology (OCZ). On the surface, the companies don't look too frightening. Both boast more cash than debt on their balance sheet, and STEC is actually generating positive free cash flow -- adding to its cash hoard. Neither company, however, is currently profitable. And while free cash flow is an inarguable good, STEC is generating far less than it once was, and appears to be on a downward slide. OCZ is even worse. It has only generated positive cash profits once in the past 10 years -- and that once was five years ago. Although each company is cash-rich today, these are the kinds of trends that could turn them into corporate paupers in short order. Speaking of companies that haven't yet figured out how to turn a buck: Pandora (P), MAKO Surgical (MAKO), and Zillow (Z) are all based on bona fide whiz-bang business ideas, but are having trouble building real businesses upon them. Online music-box Pandora and robotic surgery company MAKO are in even worse shape. Both companies have cash in the bank, raised by selling stock, but they'd better try to make it last. In the entire history of their existence, neither company has ever generated one cent in free cash flow. Suffice it to say, if you're looking to make a buck from investing in a business, you're better off sticking to businesses that know how to make a buck themselves. Last and quite possibly least, two of the most popular businesses out there these days -- at least with consumers -- are Netflix (NFLX) and Amazon.com (AMZN). But neither one looks particularly attractive as an investment. 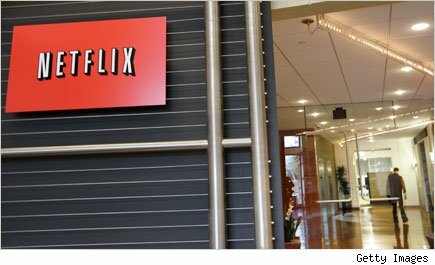 Netflix faces increased competition this year as Amazon keeps up the pressure and new rivals like the Coinstar (CSTR)-Verizon (VZ) alliance are beginning to streaming videos as well. Meanwhile, studios are demanding increasingly higher fees for access to their movies -- fees Netflix doesn't earn enough to easily pay. Despite its problems, investors are happily shelling out more than 100 times earnings to own a piece of this very vulnerable company. Crazy. And Amazon? More and more states want Amazon to collect sales tax for them these days, hurting the company's ability to undercut the likes of eBay (EBAY) and Overstock.com (OSTK)... or even the bricks-and-mortar store down the street. Yet investors blithely ignore the threat, assume Amazon will grow forever, and ante up a quadruple-digit P/E on this one. Eventually, though, reality must sink in and Amazon shares must sink, period. Perhaps unsurprisingly, Motley Fool contributor Rich Smith does not own shares of any company named above. The Motley Fool owns shares of Amazon.com, MAKO Surgical, Netflix, and Zillow. Motley Fool newsletter services recommend Amazon.com, eBay, MAKO Surgical, Netflix, and Zillow. Are you part of the 99%? Our new free report highlights three less-than-luxurious stocks the 1% may be overlooking.